This is my second attempt in making a sterling silver cabochon ring. 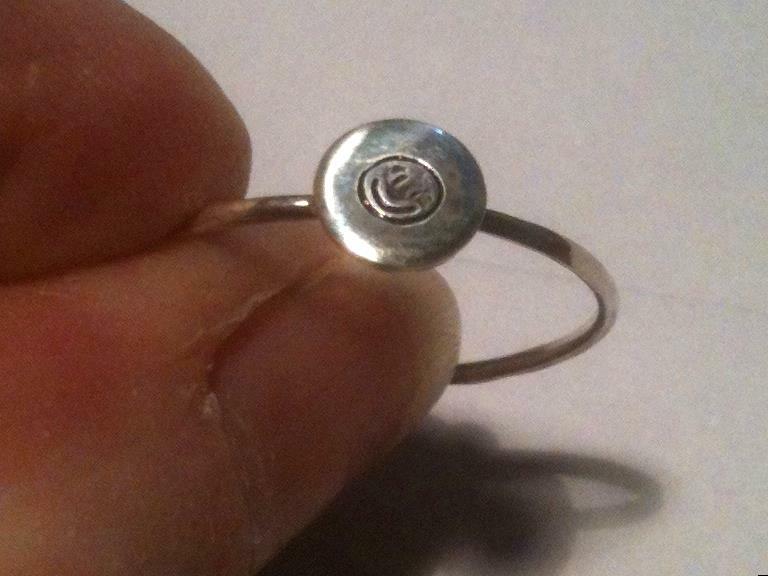 As you would have read in part 1, I had trouble attaching the sterling silver disc to a ring band. What learned was that I needed to purchase another tool, a third hand ( this has 2 hands on a mounting plate) so I order it and once I received it I attempted to make the glass cabochon ring again. The third hand was wonderful to use I could hold everything with this so it left my hands free. It was so much easier to place the disc on the third hand platform and then use both of the hands to hold the band onto the disc.Then I placed solder around the disc and band applied the heat and it all solder wonderfully. Once I had the ring made I quenched it and used a brassl brush to clean it up. Then I dried it with a clean rag and polished it with the flex shaft and polishing discs. 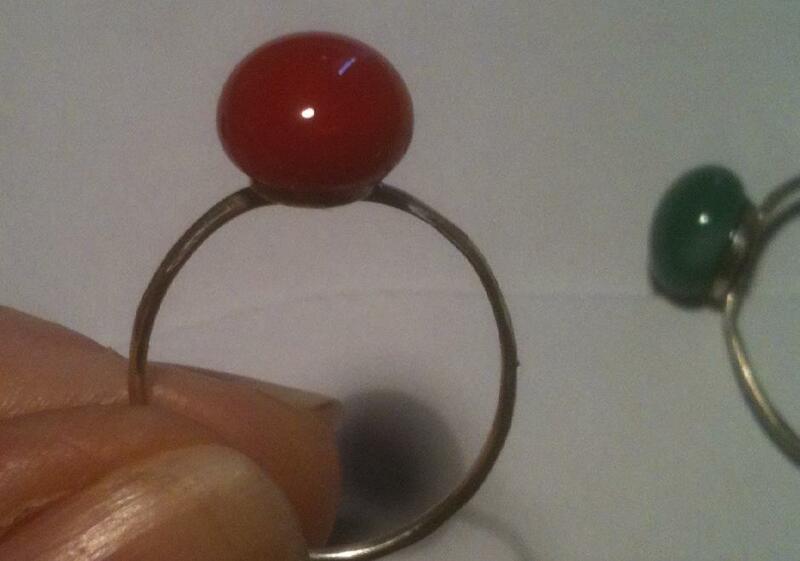 The next step was to attached the cabochon onto the ring. 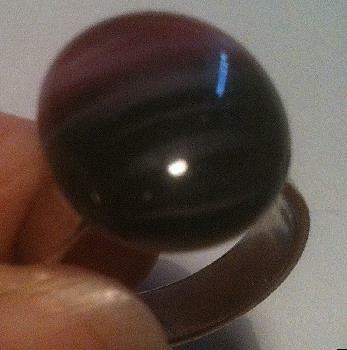 I used Araldite Ultra Clear glue to attached the cabochon. After allowing the glue to set I had my ring. Once I had made the large ring. I decided to also make a small ring with a small glass cab on it as well. Again I made the small rings the same way and as you can see from the picture it all went well. 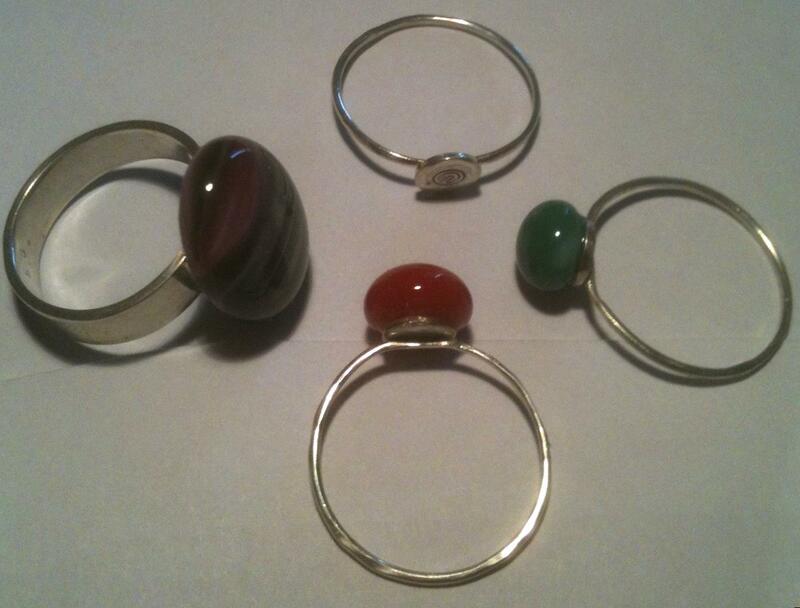 The glass cabochons were all made by Jeff. I also made a stamped ring, with this ring I made the ring with 1mm sterling silver wire, stamped the small sterling disc before soldering in onto the ring. Previous post: Warning Warning!! About Micro Torches?? ?